This is Alexandria Washington from Houston. She goes by Alexandria Nicole as a beauty blogger on YouTube and Instagram. Almost nine months ago, Washington posted this photo of herself on Instagram for one of her hair tutorials. 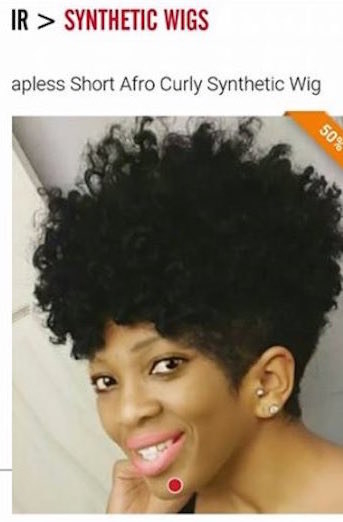 Earlier this week, Washington told BuzzFeed News, someone sent her a DM of her old photo being used on the website DressLilly.com as a product ad for their Short Afro Curly Synthetic Wig. Not only does the real photo depict Washington with her natural hair, but she said they used her image without permission. She said she went to DressLilly.com to verify that it was indeed her photo, and that it was used under completely false pretenses. "I don’t wear wigs, never have worn wigs," she told BuzzFeed News. "This is my natural hair." "I was pissed!" she added. WELL, after Washington asked them to remove the image of her, she said DressLilly.com told her they would open an "investigation." But instead of taking her photo down, she claims it appears they photoshopped another person's face over it. "I have been TRIED," Washington wrote in a follow-up Instagram post on Tuesday, adding some 😂😂 emojis. Washington said she was also confused as to why they wanted to pursue an "investigation" first. "I sent them the original picture and the ad," she explained. "I told them, 'Take it down, there should be no investigation.'" "I busted out laughing," she told BuzzFeed News when she first saw the apparent photoshop. "WHAT IS THIS?" She said the company claimed they had taken the image down, and that's when she went to check again and found the photo. "It was about 6 o’clock in the morning, I was half awake," she said, laughing remembering that moment. Washington's followers were disappointed with the company, but couldn't help but laugh themselves. This whole ordeal was then picked up by other social media accounts. And people could not deal. Even though everyone acknowledged how wrong it was for them to allegedly lift her personal photo, they could not help but howl with laughter over the edit. A quick search of the item name and description directed us to two other wig websites that all share similar web pages and product photos. She said she's still sending them messages to take her photo down off of any other affiliate site or platform. 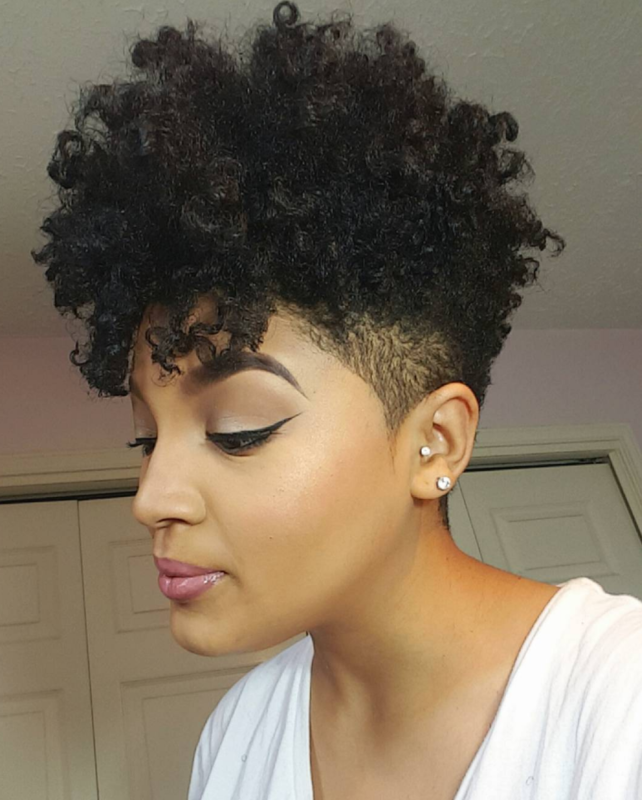 As of now, the Short Afro Curly Fascinating Capless Synthetic Wig product, and accompanying picture, has been removed from DressLilly.com. BuzzFeed News has reached out to DressLilly.com for comment.